Sometimes we just need to be reminded. I know I do. That day was a whopper. I rose early, worked hard, was intentional, and still felt unproductive. Been there? On top of that, we’d gotten a heavy heap of unwanted news in the afternoon. My dad had an aggressive form of cancer. He had been through so much. To explain the details would take a whole book. All I can say is that when it came to the distribution of health challenges, my dad had an unequally large share. We’d found out that his ear was riddled with the c-stuff and that he would be losing it. But we thought he’d just lose an ear and thought that dad’s biggest challenge following surgery would be figuring out how to hold eyeglasses on his head. The results of his full body scan indicated otherwise. And so did his surgery. The presence of disease was more invasive than what the doctors originally believed, so the initial ENT removed himself from the case explaining that the scope of dad’s surgical needs were beyond his abilities. Great. Then they met with a specialist to see if surgery was even possible and to mapped out a treatment plan. Far from Pittsburgh, I shared the pain and prayed along with my family. As I prayed God changed me. My heart still ached, but a peace held me. His peace. Him. Jesus, my Prince of Peace. And as He held me I remembered to exhale. To breathe deeply of His hope. I remembered that our days are known and numbered by a loving God who has a plan for each of us. 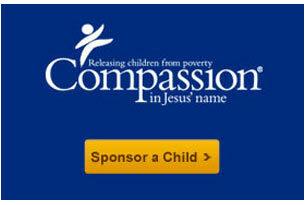 I remembered that I am not alone in this and that my Lord knows the agony of suffering. I remembered that though earthly diseases are completely rank, that God is still good and His strength is made perfect in my weakness… that His grace is sufficient. My family and I got through it. Dad got through it. Mom got through it. We all did. Not on our own, but with God. And though the outcome was fierce and the quality of my father’s life diminished after his surgery and eventual passing, life went on for both him and us, because we know Life. The source of life. The way, and the truth, and the life. We know Jesus, so everything is possible. In life and in death. No. This truth didn’t change the challenge. It changed me. It changed all of us. It changed how I face challenges today. Because if I’m really taking faith seriously. If I am really telling the Lord that I want everything He has for me, and am asking Him to be glorified in my life, then I have to want everything He allows to pass through His hands and into my life. I’ve drawn a line in the sand of my life. I want everything He has for me. The good and the bad. I can do all things through Christ who gives me strength. (Philippians 4:13) It’s not just a familiar Bible verse that can be found on a T-shirt, bookmark, or bumper sticker it is a truth that I can cling to. It is a tested truth. And it’s one you can cling to too. 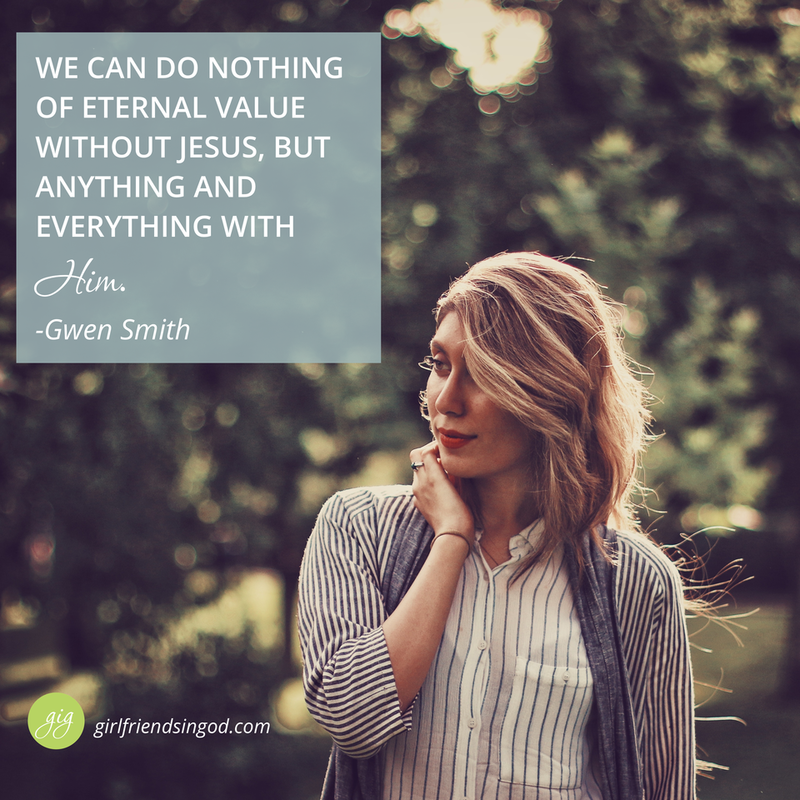 We can do nothing of eternal value without Jesus, but anything and everything with Him. Lord, I ask that You would receive the maximum amount of glory in and through my life. Drench me in the power of Your presence and wring me out so that others might be drawn to You. Keep my eyes open to opportunities to build others up in faith and keep my heart firmly rooted in Your love so that I will always be prepared to give an answer for the reason of my Hope. My prayer today is that God would favor the approval of my Social Security Disability. I am going on two years since I was able to work and the Lord has faithfully and generously provided for our financial and physical needs. However I need to show a reasonable income to move forward in my life. That includes moving closer to my son and his family. Both my husband and myself have physical disabilities that make it hard to care for our home and yard. Your prayers for me would be greatly appreciated. Thank you! And yes there has been so much growth for my faith in this season. God is a good Father. So sorry for your loss. I can’t imagine your pain. My husband has been waiting on a diagnosis if he has Parkinson. My heart breaks to think this could be true but I’m trying so hard to believe that the Lord would perform a miracle on him. I’m not testing God but trusting him in this. May God bless your family. It is always a blessing to read gig devotionals every day. my prayer today is for my niece who has Parkinsons.it truly is a heartbreaking disease. praying for a miracle as well. Her name is Teresa. 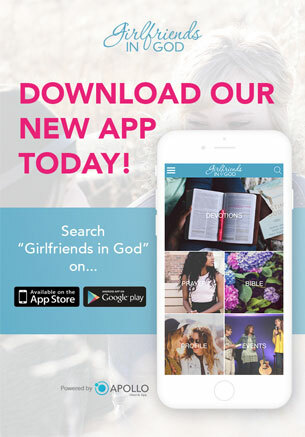 God Bless you, girlfriends and sisters in Christ.